SpaceX’s Falcon 9 rocket made its sixteenth launch Sunday, carrying a pair of commercial communications satellites in the company’s first dual launch to a geosynchronous transfer orbit. The Falcon departed at the first attempt from Cape Canaveral’s Space Launch Complex 40 at the start of a 44-minute window that opened at 22:50 local time (03:50 UTC). 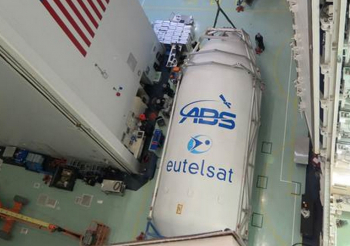 The satellites aboard the Falcon 9 are Asia Broadcast Satellite’s ABS-3A spacecraft, and Eutelsat 115 West B for French telecommunications company Eutelsat. 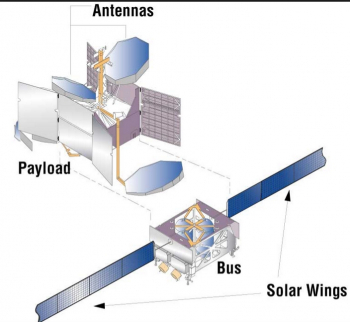 Constructed by Boeing Satellite Systems, both spacecraft are based on the company’s new BSS-702SP bus. Derived from the BSS-702 (formerly HS-702) platform which Boeing inherited in its 2000 merger with part of the Hughes Aircraft Company, the 702SP is optimised for dual launch operations, thereby reducing the costs of launch. Hughes introduced the 702 series in the late 1990s to replace the HS-601 bus. The first spacecraft to launch was PanAmSat’s Galaxy 11 in December 1999. The first six spacecraft were equipped with mirrors to increase the amount of light focussed onto their solar arrays, however a design fault was subsequently discovered with these mirrors fogging in orbit and reducing the amount of power available to the spacecraft. Following a redesign of its solar panels BSS-702 launches resumed in 2002. The standard BSS-702 has since been redesignated the 702HP, with a smaller 702MP configuration being introduced in 2009. The 702SP has a significantly reduced mass compared to its predecessors, enabling two spacecraft to be launched by rockets which would normally only be able to carry one. The mass savings have primarily been achieved through the use of electric propulsion for orbit-raising manoeuvres which eliminates the need to carry a chemical apogee motor or the propellant which accounts for a significant portion of the launch mass of most geosynchronous spacecraft. The spacecraft are also designed to stack atop each other, eliminating the need for an adaptor such as the SYLDA used by Arianespace to separate dual payloads on its Ariane 5 vehicle. Asia Broadcast Satellite and Mexican operator Satélites Mexicanos (SATMEX) were Boeing’s launch customers for the 702SP, ordering two spacecraft each. 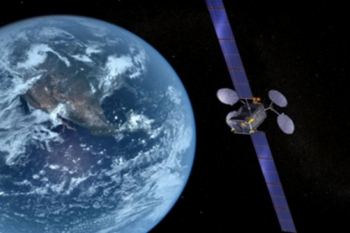 SATMEX’s orders were transferred to Eutelsat when the two companies merged last January. Formed in 1997 when Mexico privatised its satellite communications, SATMEX took over operation of the country’s Morelos and Solidaridad spacecraft. The next year saw the launch of SATMEX-5, formerly Morelos 3, to replace the Morelos 2 satellite. 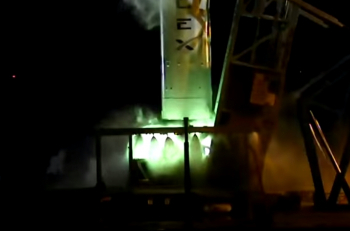 Two further spacecraft, SATMEX-6 and SATMEX-8 were launched in 2006 and 2013 respectively. Eutelsat intend to operate their Eutelsat 115 West B spacecraft at a longitude of 114.9 degrees west, where it will replace the ageing Eutelsat 115 West A satellite. Another former SATMEX spacecraft, 115 West A was launched as SATMEX-5 in December 1998 and 115 West B, which was to have been named SATMEX-7 before its acquisition by Eutelsat, had been intended to replace it from the outset. Replacement of the 16-year old spacecraft had been delayed following the cancellation of the contract for the original SATMEX-7 spacecraft, which was to have been built by Space Systems/Loral for a 2011 launch. The Eutelsat 115 West B spacecraft is equipped with 46 transponders – 12 in the C band and the remainder in the Ku band, to provide coverage of the Americas including rural parts of Canada and Alaska. In contrast ABS-3A carries a payload of 24 C and 24 Ku band transponders for providing communications to the Middle East and Africa. 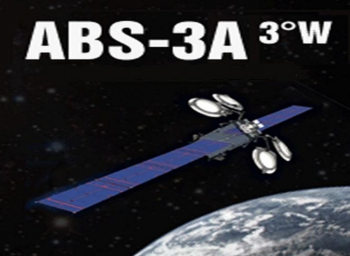 Destined for an orbital slot at 3 degrees West, ABS-3A will replace the ABS-3 satellite which has been operating in its slot since 2011. Formerly operated by Philippine company Mabuhay as Agila 2, ABS-3 was acquired by Hong Kong’s Asia Broadcast Satellite Limited in a 2009 merger, initially being operated at 5 degrees West as ABS-5. Launched by a Chinese Chang Zheng 3B rocket in August 1997, the satellite exceeded its design life in 2012. The combined payload has a mass of 4,159 kilograms (9,168 pounds). The 1,954-kilogram (4,307 lb) ABS-3A spacecraft is stacked on top of the 2,205-kilogram (4861 lb) Eutelsat 115 West B. Both spacecraft are designed for at least fifteen years of operation. SpaceX launched the two satellites for Boeing and their operators, using its Falcon 9 v1.1 rocket. The rocket is carrying the spacecraft into a supersynchronous transfer orbit to minimise the delta-v the spacecraft will require to perform orbit raising manoeuvres. 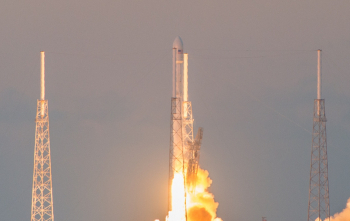 The combined mass of the two satellites and the high target orbit has necessitated that SpaceX flew the Falcon in its fully expendable configuration, lacking the first stage landing legs and fins demonstrated on recent missions which SpaceX hope will eventually allow them to recover and reuse the lower stage of the rocket. In addition, due to the performance requirements of the mission no restart of the first stage was attempted after separation. The satellites’ missions began with liftoff from Space Launch Complex 40 at the Cape Canaveral Air Force Station. A former Titan launch pad, SLC-40 was leased to SpaceX in 2008 for East-coast Falcon 9 operations including its Dragon resupply flights to the International Space Station. 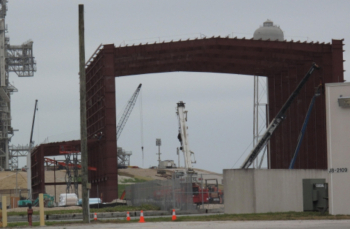 The company also flies the Falcon 9 out of Space Launch Complex 4E at Vandenberg Air Force Base, has plans for a commercial launch site in Texas and is currently in the process of converting the former Saturn V and Space Shuttle launch pad at Kennedy Space Center’s Launch Complex 39A for its Falcon Heavy vehicle. Ahead of Sunday’s launch, the Falcon 9 was powered on around 12:50 local time (17:50 UTC). 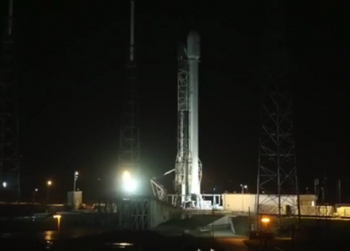 Three hours before SpaceX began to load fuel into the rocket’s tanks, beginning with its RP-1 propellant. The oxidiser, liquid oxygen, began to be loaded at the two hour, thirty-five minute mark, with initial tanking of both propellant and oxidiser completed by the time the countdown reached an hour and a half before launch. As the cryogenic liquid oxygen boiled off it was vented from the rocket and the tanks continued to be topped up throughout the countdown. The terminal countdown began ten minutes before launch, with an automated sequence beginning as control of operations was transferred to the rocket’s onboard computers. Retraction of the Strongback structure, used to erect and support the Falcon at its pad, began around four minutes and forty seconds ahead of liftoff, with arming of the rocket’s flight termination system beginning three minutes and fifteen seconds ahead of time. At the two minute mark in the countdown both the SpaceX launch director and the US Air Force Range Control Officer (RCO) for the Eastern Range gave their final approval for the launch to take place. In the final minute of the countdown the rocket conducted a series of final prelaunch checks under the command of its flight computers. The pad water deluge, or “Niagara”, system was activated and the vehicle’s propellant tanks were pressurised. 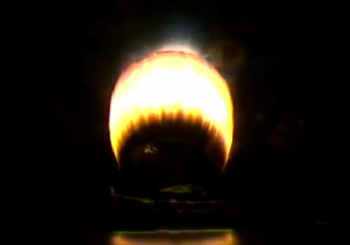 Three seconds before launch the first stage’s nine Merlin-1D engines ignited and begin to ramp up thrust. Arranged in an octagonal “OctaWeb” configuration with eight outboard engines distributed around a central or inboard motor, the Merlins provided the thrust to propel the Falcon from its pad and on the first leg of its journey into orbit. Around fifteen to twenty seconds after lifting off, the Falcon executed a series of manoeuvres to establish itself on course for its planned low-inclination orbit. Flying East over the Atlantic Ocean the vehicle reached a speed of Mach 1 around 73 seconds after liftoff, passing through the area of maximum dynamic pressure, or max-Q, eleven seconds later. 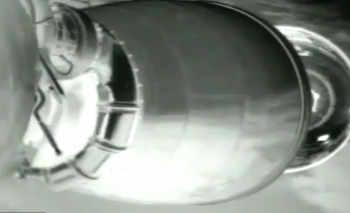 First stage powered flight lasted two minutes and fifty six seconds, ending in Main Engine Cutoff, or MECO, when the stage approaches propellant exhaustion. Two seconds after first stage cutoff, the spent stage was jettisoned with second stage ignition occurring eight seconds after staging. Performing the first of two planned burns, the second stage burned its Merlin Vacuum engine for five minutes and 44 seconds to establish a 953 by 174 kilometre (108 by 592 miles, 94 by 515 nautical miles) parking orbit. Separation of the payload fairing from around the two satellites occurred forty five seconds into second stage flight. Following the end of the first second stage burn, the mission entered a coast phase until the stage restarts for its second burn at the 25 minute and 52 second mark in the flight. Lasting 59 seconds, this burn raised the vehicle into its deployment orbit; 408 by 63,928 kilometres (254 by 39,723 miles, 220 by 34,518 nautical miles). Afterwards the rocket reoriented itself for spacecraft separation, with ABS-3A deploying three minutes and 27 seconds after cutoff. The Eutelsat spacecraft was deployed five minutes after its companion, once the rocket again reoriented itself. Following separation, the spacecraft will take around eight months to manoeuvre into their final geostationary orbits – this long orbit-raising phase a consequence of the less powerful but more efficient electric propulsion systems they are using. Upon reaching their final orbital slots the satellites will undergo an on-orbit checkout phase, lasting a few weeks, before entering service. Sunday’s launch was the third mission for SpaceX and its Falcon 9 this year, following January’s launch of the CRS-5 Dragon mission and February’s flight with the NOAA’s Deep Space Climate Observatory (DSCOVR). The fifth launch of 2015 for the United States, it is the eleventh of the year worldwide – including the uncatalogued Vega launch in February whose upper stage reached low Earth orbit after a suborbital primary mission. A repeat of Sunday’s mission is scheduled for later this year, when another Falcon 9 will orbit the Eutelsat 117 West B and ABS-2A spacecraft. The next Falcon 9 mission, however, is scheduled for late March, carrying Turkmenistan’s TurkmenÄlem communications satellite.